Chinese herbal medicine is the other major treatment modality within the scope of Chinese Medicine. Although acupuncture is a highly effective treatment modality for causing physiological change in the body, many conditions do require the use of Chinese herbal medicine in order to achieve complete resolution of health concerns. Our clinic possesses a comprehensive herbal pharmacy of the highest quality herbal medicine available to ensure safe and effective therapeutic results. At Bellingham Acupuncture and Wellness, herbal formulas are compounded specifically for our patients and their health concerns based on the individual’s Chinese medical diagnosis. Herbal medicine works by the process of biochemistry. When you ingest a substance, your body will break it down and metabolize the chemical constituents of the substance. These chemical constituents subsequently produce a physiological change in the body. It is the same process by which pharmaceutical medication works, with the difference being that pharmaceuticals isolate and synthesize what is thought to be the most important chemical constituents into a patentable form. Just because herbs come from natural substances, does not necessarily make them safe. One cannot blindly medicate with herbal medicines and expect to be safe from potential adverse reactions. In some cases, herbal substances that are toxic in nature are utilized to achieve a specific clinical outcome. It is only by working with a trained and qualified practitioner that safety can be assured. Do you have herbs to help with my health concern? 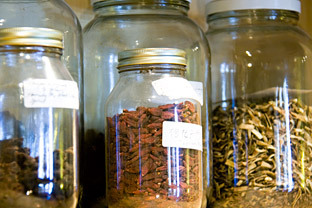 Chinese herbal medicine is capable of treating a plethora of health concerns. Its’ outstanding efficacy is attributed to the method in which health concerns are approached. It is often said “same disease, different treatment; different disease, same treatment”. This idiom best describes Chinese herbal medicines approach to health concerns. It means that Chinese herbal medicine, and all modalities of Chinese medicine for that matter, does not treat western diagnoses. What Chinese herbal medicine does treat is the disease process itself. That means that five people might have the same health concern, yet there are five different Chinese diagnoses, and five different treatment plans. Health complaints must be differentiated and the disease process must be identified in order to successfully resolve the problem for the long term. It is in this way that Chinese medicine is highly effective in treating a wide range of health problems no matter what the western diagnosis. How do l take my herbal medicine? 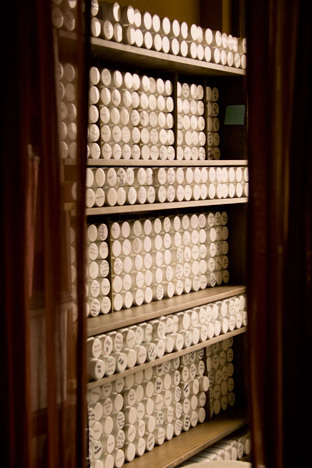 Chinese herbal medicine is administered in many different forms including pills, powders, capsules, plasters, liniments, syrups, decoctions, etc. The method of ingestion varies depending on the health complaint; however the majority of our patients are prescribed granule powders due to their efficacy, quality, and ease of administration. Granule powders dissolve instantly in warm /hot water. They are discreet, easily transportable, and highly adaptable to the average person’s busy lifestyle. How much will my herbs cost? 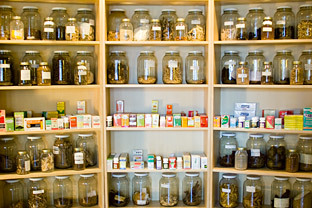 Herbal medicines vary in cost depending on the form, supply, demand, prescribed dosage, etc. In general granule powders average approximately $0.45 per gram and are prescribed at a dosage between 9-18 grams per day. How long will l take herbs for? The length of time one takes Chinese herbal medicine for will vary depending on many factors including age, diet, lifestyle, overall health status, medication regime, and nature of the problem. In general, one can expect that acute complaints will require a much shorter treatment plan than chronic complaints. What’s in my herbal formula? Bellingham Acupuncture and Wellness utilizes over 500 herbal substances to compound herbal formulas custom for our patients. The ingredients of the formula are selected on the basis of a patient’s diagnostic picture and often are changed as the patient progresses in treatment. Ingredients for specific formulas are available upon request.